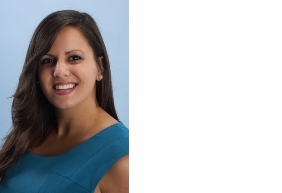 Archbald, PA. Molly Bridger has been named Marketing Communications Specialist of SIMONA AMERICA, it was announced by Adam Mellen, Vice President CSO. Bridger will be responsible for implementing communications strategies that will increase SIMONA's brand recognition among distributors, fabricators and end users in support of sales and marketing programs. She previously held the position of Senior Marketing Communications Specialist with commercial rolling door manufacturer CornellCookson, based in Mountain Top, PA.
"I’m excited by the opportunity to participate in the growth of the brand by broadening the awareness of SIMONA AMERICA's unequalled range of products among our target audiences," she explains. Asked about the future of plastics industry marketing, she points to social media, email automation and the use of other digital resources to increasingly provide measurable contributions to sales success. "I see SIMONA AMERICA executing programs that boost value to our customers by providing the intelligence and specialized polymers they need to command business in high-growth applications." Bridger holds a BA degree in English from Marywood University and a Certificate of Organizational Leadership from Penn State University.